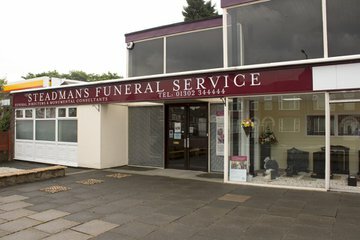 Doncaster has 18 funeral homes that serve the urban area along with its surrounding villages and nearby towns. Funeral directors in Doncaster can provide an array of services, including death announcements, preparation of legal documents, funeral transportation, memorials, bereavement counselling, memorial masonry and monuments, among many others. Around two-thirds of the population identify as Christian, meaning that funeral directors in Doncaster are experienced in providing Christian burials and cremations for different denominations. Funeral homes may also be able to cater to Muslim, Buddhist, Jewish, Hindu and Sikh funeral traditions. There is no active Jewish congregation in Doncaster, so locals use the United Synagogue in Sheffield for religious functions. The town has two mosques, the Doncaster Jami Mosque in Hyde Park and the Jamia Sultania in Belle Vue. About a quarter of Doncastrians have no religion, so funeral directors may have experience providing secular funeral services. 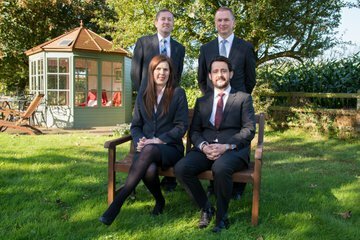 Specialist funeral arrangements such as vault burials, green funerals and military funerals are also available from certain funeral homes. Doncaster has 13 public cemeteries, including Arksey, Campsall and Mexborough. The Rose Hill Crematorium on Cantley Lane is the only one managed by the town council, and its cemetery also has a Jewish section. Search using your postcode or area to find local funeral directors in Doncaster. You can then order results by best rated, most reviewed or nearest to you to see what is available in your local area. Click on a funeral director’s profile to learn more about the services they provide, read independent customer reviews, and get in touch to discuss funeral arrangements for your loved one.